Planning your homeschool year can be a daunting task, but it doesn’t have to be! Taking the time to consider what is most important and seeing beyond the need to complete the workbooks is the first step! How do you want your children to grow ? Considering how you want children to grow in character, in the Lord, and independence is something I failed to look at in our first years of homeschooling. I figured, that just like in public school, the ultimate goal of homeschooling was to finish everything. Wrong. The ultimate goal of homeschooling (or at least in mine) is to raise self-reliant, responsible, God-honoring adults. Who cares if you don’t finish every lesson! I guarantee you that as adults they won’t have regrets of not finishing every math problem in a workbook. How much time do you have to actually “do school”? When we first started, 6 years ago, I thought it was only proper to do school from 8am until 4pm. Seriously? Seriously Jeniffer??!! (Thanks again public school!) Let me assure you that homeschooling does NOT take that long! What took eight hours in public school should only take about four in your homeschool. Granted, high school will take a bit longer during the day, but overall, there’s no need to expect your children to sit still and work that long! Would you rather do school first thing in the morning after breakfast? After lunch while the babies are sleeping? Or maybe your children (and you) would do better with a kind of night school? What do you want them to learn or master in that time? Focus most of your time on what you and your children WANT to learn about or what you believe they NEED to master. Don’t worry about filling their heads with things that really don’t matter. Will you be doing school as a family or are your learners more independent? This is a big one. If you intend upon doing school as a family and including multiple grades together for subjects, this greatly cuts down on curriculum costs! For example, my four and five year olds will be starting kindergarten at the same time, which means I use the same books for both of them, YAY! My two oldest are only three years apart so if we find something we really like, I can save it for my daughter to use in a couple of years. There’s so much to consider when planning your homeschool year. 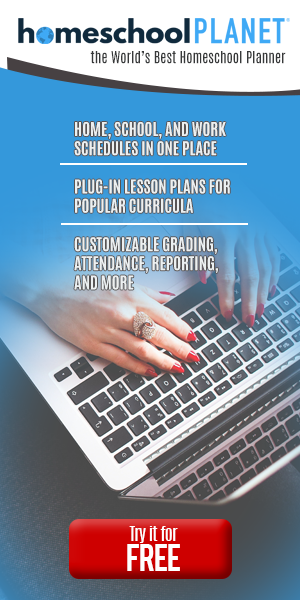 Don’t get caught up in the lesson plans and quiz grades! You are raising people, not teaching curriculum. Looking for more posts about planning your homeschool year? Click the photo below to be taken to a whole list of helpful homeschooling posts! I KNOW!!!! school doesn’t take nearly as long does it!!! . Visiting from things we love roundup.